Let everyone know your fan commitment to a team. This afghan will let everyone who you support! If you don’t see your team in the zibbet shop already, please contact me and I can create and post for you to purchase. 151 x 151 crochet graph. This is an automatic download purchase which is a pattern and not a finished product. This is one file which includes single and multipage charts and row counts written with color abbreviations for corner to corner (C2C), single crochet (SC) and Tunisian Simple Stitch (TSS). The size of completed piece will vary by customer based on yarn weight, hook size, tension of the individual. Adobe Reader is required for viewing as it is delivered in PDF format. File is available upon confirmation of payment. There are no refunds due to the instant delivery and nature of this transaction. PERSONALIZATION: This can be personalized with a name and/or number and colors can also be changed for your local or school team. Pricing will be based and provided upon request. COLOR CHOICES: Looking for a different color combination based on a team? Contact me before purchasing this pattern and I will create and post a new version of the complete pattern for you. If you would like row counts of color-coded blocks rather than written, please contact me. Row counts by colored blocks can be created for one stitch type for $2. Pattern is written for right handed crochet working from the right from bottom to top. 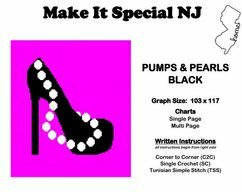 If you would like instruction for a different direction, please contact me before purchasing the pattern and I will create and post a new version of the complete pattern for you.